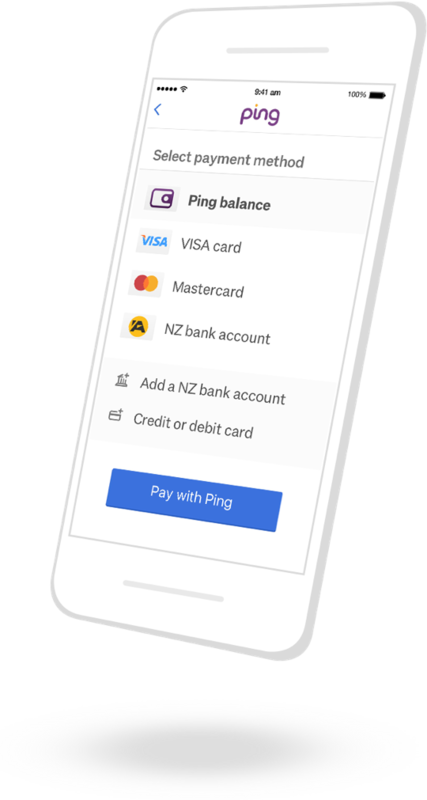 Ping | Your new way to pay on Trade Me. Your new way to pay on Trade Me. Ping makes buying and selling easier, faster and safer. No more mucking around sharing your bank account details. Payments go through instantly, making sales faster. We've got your back with Buyer and Seller Protection. All Trade Me members have been automatically set up with Ping - just view your Ping balance from your My Trade Me page. Add your bank account details or a credit/debit card, then you're ready to shop. When buying an item, select Ping as your payment option, then choose to pay with your credit/debit card, Ping balance, or saved bank account. Your payment will instantly appear in the seller's Ping balance, so they can send your item straight away. When creating a listing, add Ping as a payment option - when a buyer chooses that option, their payment will instantly appear in your Ping balance. 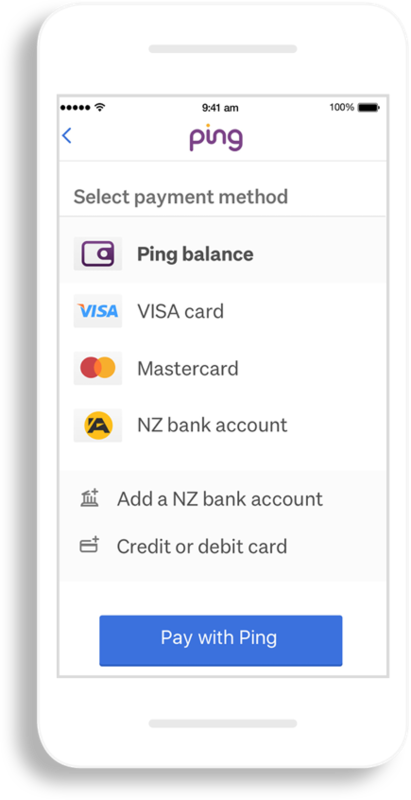 Choose to keep the money in your Ping balance so you can spend it shopping on Trade Me, or transfer it to your bank account. There's a 1.95% transaction fee for using Ping. Is Ping a Trade Me service? 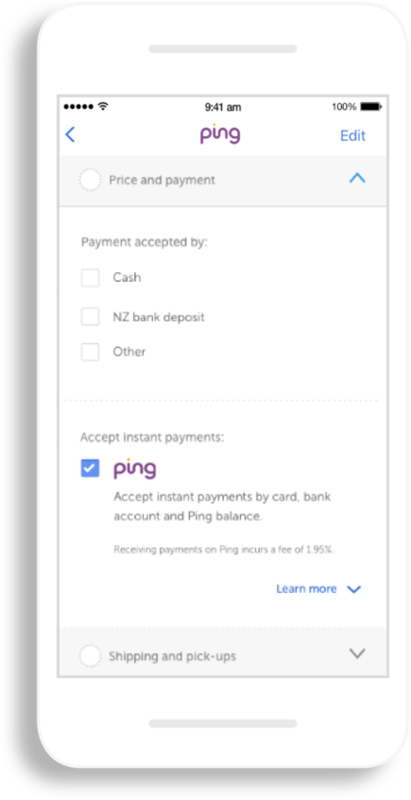 Ping is a payments service built, owned, and operated by Trade Me. Is my data safe with Ping? We don't share your payments data with anyone. Ping meets industry security standards, is audited and security tested to help keep your data safe. Ping is ready for you to use. Head over to our help page for sellers or drop us a line if you have any questions. For more information check out our help pages. *Bank payments available for all accounts once verification process is complete.